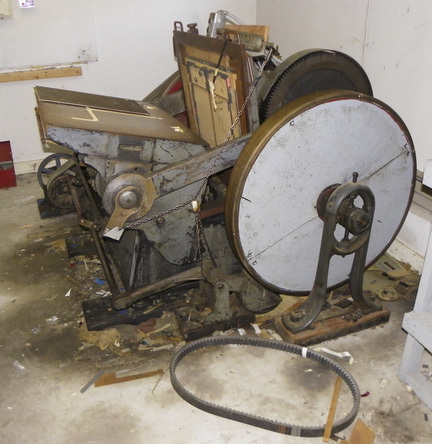 $800—Thomson National die cutting press. 25x33in. 2 chases, newer Baldor motor, 120/220 (not 3 phase). Jackshaft assy. added to slow it down. Ground level access, easy move with a tilt bed car hauler. Killingworth, CT 06419. Great addition for a small shop to expand capabilities. Was in use until owner died.